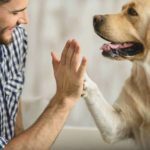 Our furry friends give us joy and affection every day, it’s hard not to spoil them! When it comes to a birthday or special holiday, many owners want to treat their pups to something special. 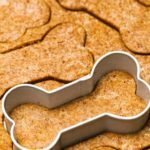 That’s why Personal Creations has put together delicious recipes for dog cakes that you can make at home. From a coconut berry cake to apple banana cake, these cakes look so tasty, you just might want to make extra for yourself! Whether you’re celebrating because it’s your pup’s birthday, he just got a new haircut or she completed obedience training or won a prize at an agility competition, dog cakes are the perfect treat. When you get ready to bake dog cakes, consider being selective about the flour you choose. Although all-purpose, white flour is the most common, it’s extremely processed and low in nutrients. Instead, opt for whole grain flour, like whole wheat. 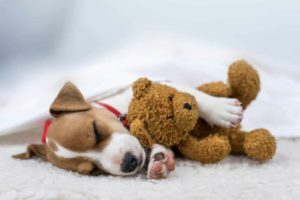 If your pup is sensitive to wheat, eats a grain-free diet or you want to bake with nutrient-dense ingredients, consider using coconut, almond, lentil, potato or chickpea flour. 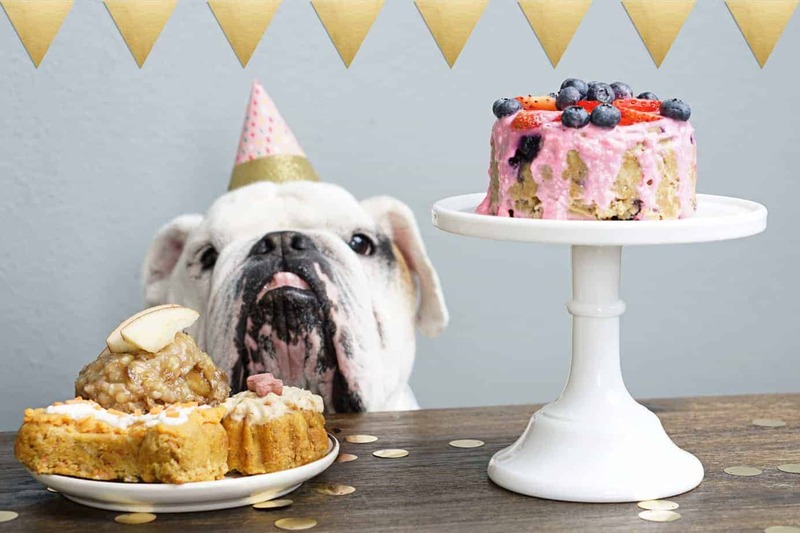 Be sure you incorporate healthy human foods like berries, sweet potato and carrots into your dog cakes. This cake may look decadent, but it’s really healthy. The blueberries and strawberries are rich in antioxidants, vitamin C and phytochemicals. 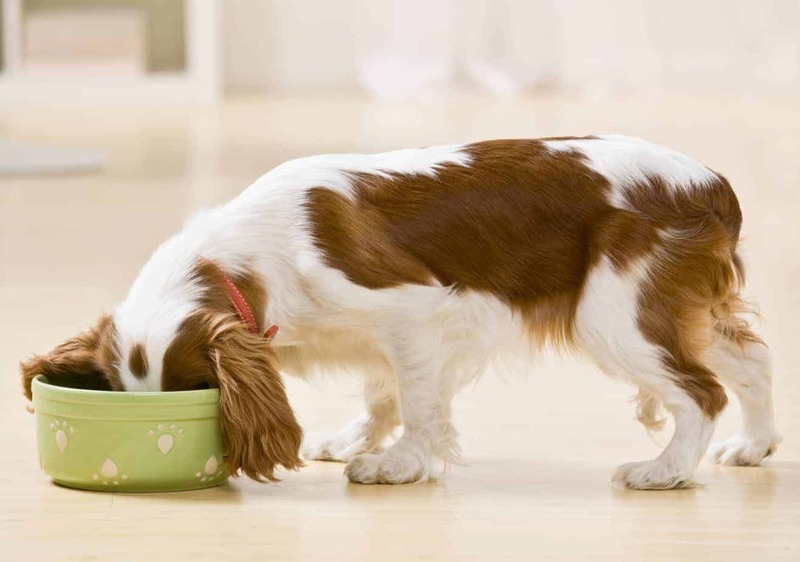 The coconut oil is good for digestion and enhances your dog’s coat. Mix together honey, eggs and melted coconut oil. Then stir in flour and blueberries. Grease one 4 inch springform pan with coconut oil. Fill with batter and bake for 20-25 minutes, until the center is firm. Mix together yogurt, honey and food coloring for the frosting. Frost cake and top with berries. Layer the sweet potato puree and yogurt for contrasting toppings or mix them together to create a pale orange frosting. 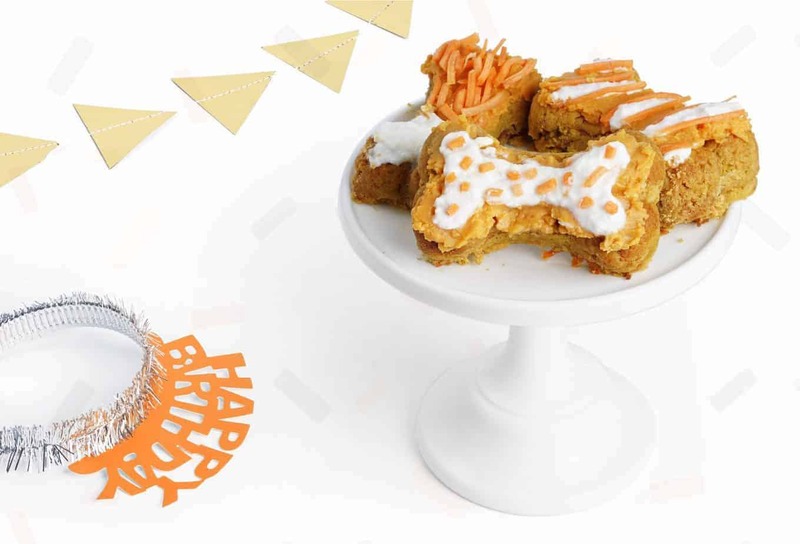 This recipe makes three bone-shaped cakes. Mix together honey, coconut oil and sweet potato puree. Add almond flour, baking powder and water, then stir in carrots. Grease pan with coconut oil. Add batter and bake for 20-25 minutes, until the center is firm. After the cake cools, top with sweet potato puree, yogurt and shredded carrots. 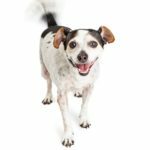 This recipe creates a tasty mini-meatloaf for your pup. The recipe calls for peas and carrots, but you can swap them for your dog’s favorites. Chop and boil potatoes until soft. This will take about 20 minutes. Mix together beef, egg, oats, carrots and peas. Grease baking tins with coconut oil and add meat. Bake for 30-40 minutes until meat is cooked through. While meat is baking, make your mashed potato frosting. Add boiled potatoes to a bowl. Mix with a hand mixer, adding water until your potatoes reach the desired consistency. Once meat cakes have cooled, frost with potatoes and decorate with peas and carrots.